25 Aug - DeBlanks at The Fringe! Come laugh your (BODY PART)_______ off at our Fringe debut! A Time Out NY Critics’ Pick written by Billy Mitchell, Villain: DeBlanks is the uproarious improvisational comedy where the cast says words you put in their mouths. The audience provides nouns, adjectives, verbs, etc (the wilder, the better), and the actors provide the laughs — uncensored and unrehearsed — as they enact the story of Philip DeBlanks’ untimely demise. As seen in London, New York, and Los Angeles, Broadwayworld.com calls us a "rib-tickling theatrical confection," and we're excited to bring our shenanigans to the wee folk of Scotland — and their mums and dads, too. Starring favorites from the West End and NYC, each performance is hilariously one-of-a-kind. 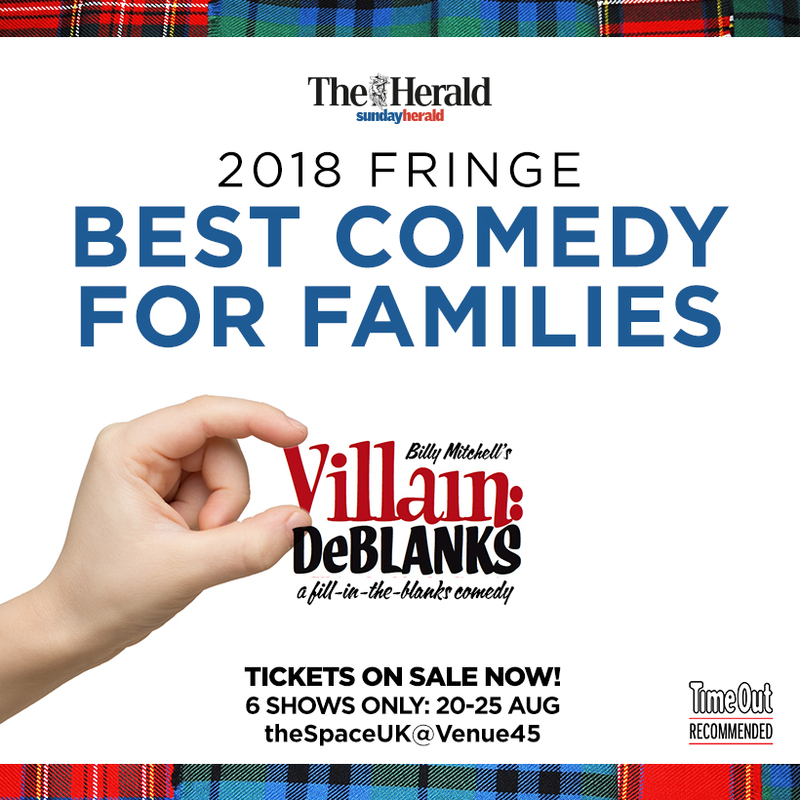 24 Aug - DeBlanks at The Fringe! God's Love We Deliver benefit at Birdland Theater!